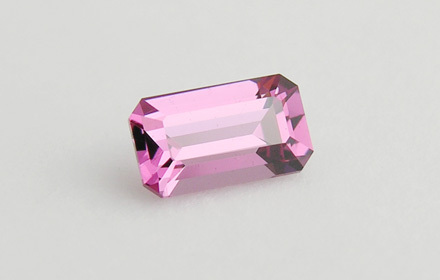 Weight: 0.26 ct; size: 4.62 | 2.68 | 1.98 mm; shape: octagon; colour: medium purple; slightly greyish; clarity: eye clean; cut: excellent; treatment: none. Very clean specimen; design ‘Octangulum’, excellent cut by Tan Pen. Currently the name is used for any pink garnet of the pyrope-almandine series.